Happy Bloggers Challenge Friday! Thanks to those who played along with the Home is Where the Heart Is Challenge, the challenge this week is The Letter B (open to your interpretation). 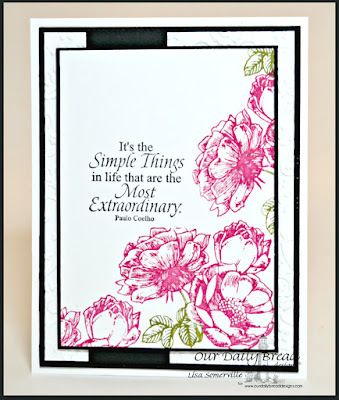 I created a CAS card for this week's challenge, going "back to the basics" using "blossoms" and a stamp set from Our Daily Bread Designs "Blessings Collection". Rather than stamp and color the "beautiful blossoms" from the Fragrance stamp set, I simply inked them with markers and stamped onto White card stock. 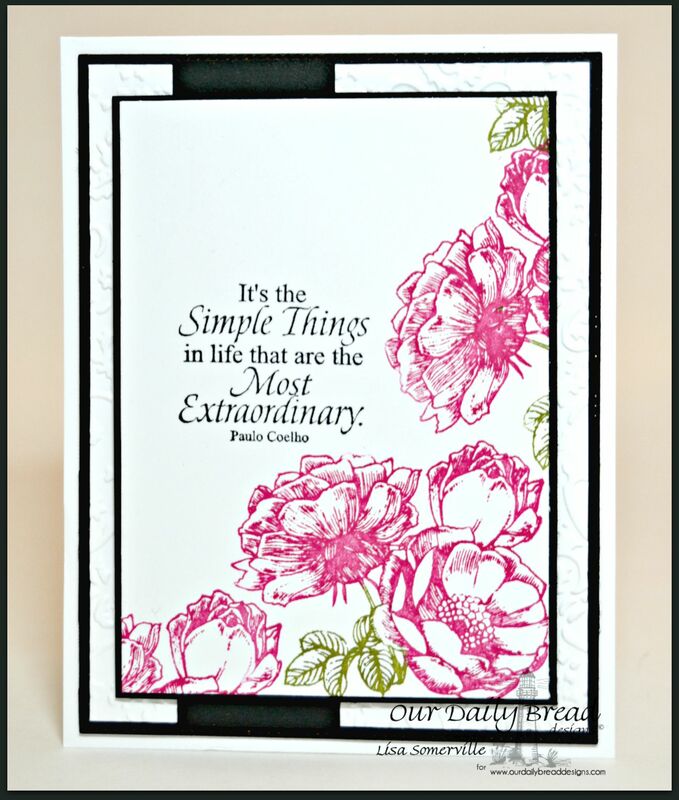 The verse is from ODBD's Little Things stamp set. If you would like to play along with this weeks Bloggers Challenge, please link back to this post on your blog and mention you created your card for the Bloggers Challenge The Letter B Challenge. Please add your link using the Link Tool below, your link should be a direct link to your Bloggers Challenge Post, use your name as the Title. Please do not link to cards that were created prior to the challenge date. Entries not linking properly, or backlinked will be removed. If you have the captcha enabled on your blog, please consider turning it off, as it makes it so much easier to leave comments. True beauty in the simplicity of this card! Beautiful blossoms! I had to make a card, and was so thrilled to join in here! What a beautiful card! I love it! Love the colors.. that quote is great! Just beautiful!! Thanks for another fun challenge!